A journey homeschooling my youngest now a high schooler...learning, growing, sharing, and making memories on our many musical adventures. March started at North Texas Irish Festival with her trio, Shared Madness. Two fun days of music performances then hours and hours of tunes into the early morning hours each night. The following weekend we drove up to New Jersey for a soloist gig with composer/conductor Johan de Meij and the New Jersey Wind Symphony. Johan arranged a collection of Riverdance pieces composed by Bill Whelan who came to see the performance. 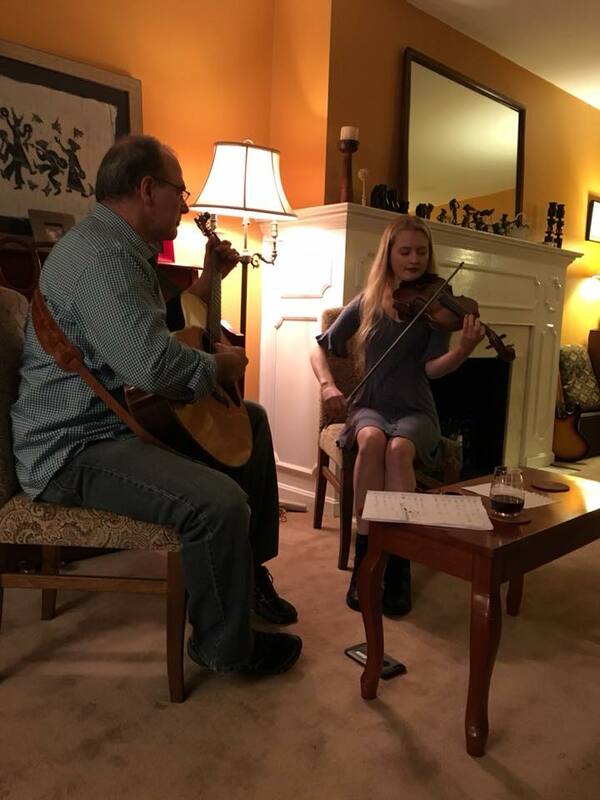 On our way back home to North Carolina, she had a gig at The Inn at Little Washington in Little Washington, VA with accordion player Sean McComisky. 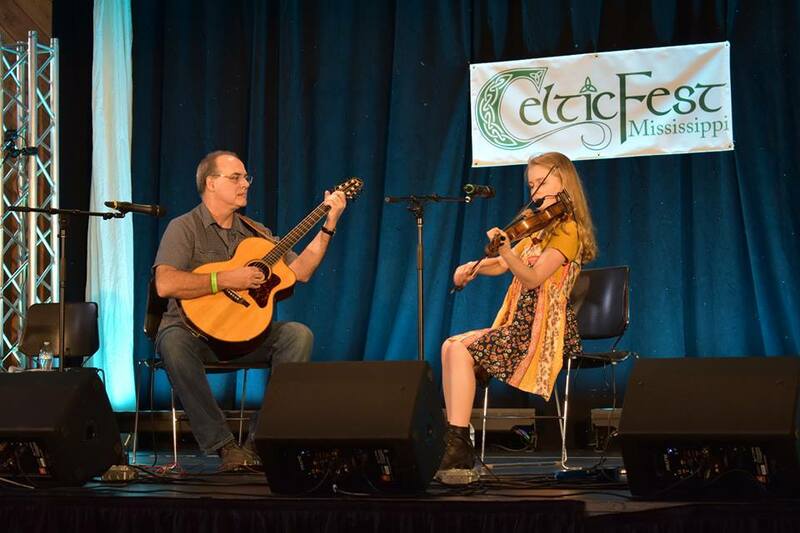 We had a quick week at home then flew to Jackson Mississippi for Celtic Fest Mississippi. So many great tune players at the festival. Haley performed with the Máirtín de Cogain Project, with Don Penzien as a duo, as part of the ceili band, then until 4-5am each night in sessions. 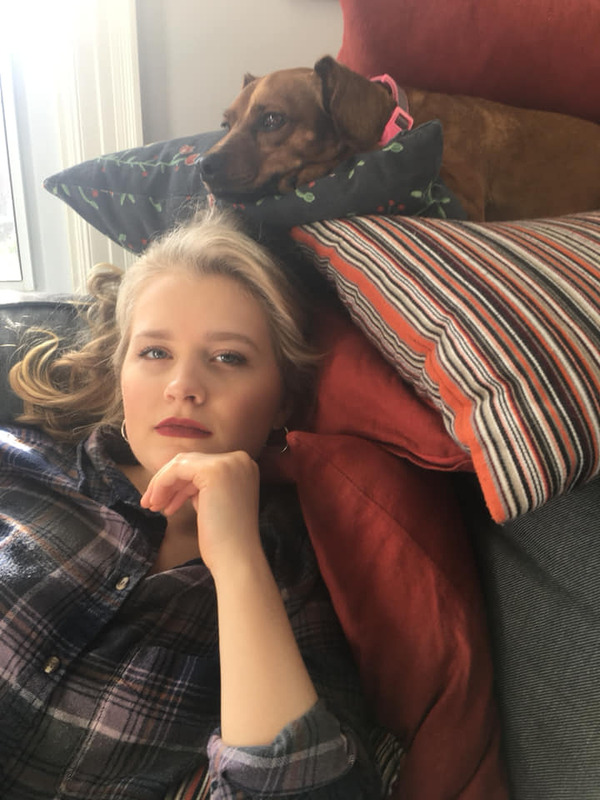 Haley has some exciting thing coming up in the next few months-- including the release of a brand new duo CD with multi-instrumentalist Quinn Bachand with a CD release tour in May. 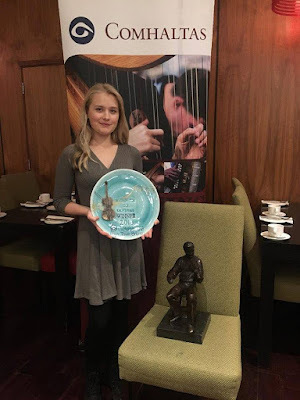 She has also been contracted as the fiddler for Riverdance all summer in Dublin, Ireland! It seems the busier Haley gets, the less I blog. We've spent the last two months on three different continents and been home exactly one week. 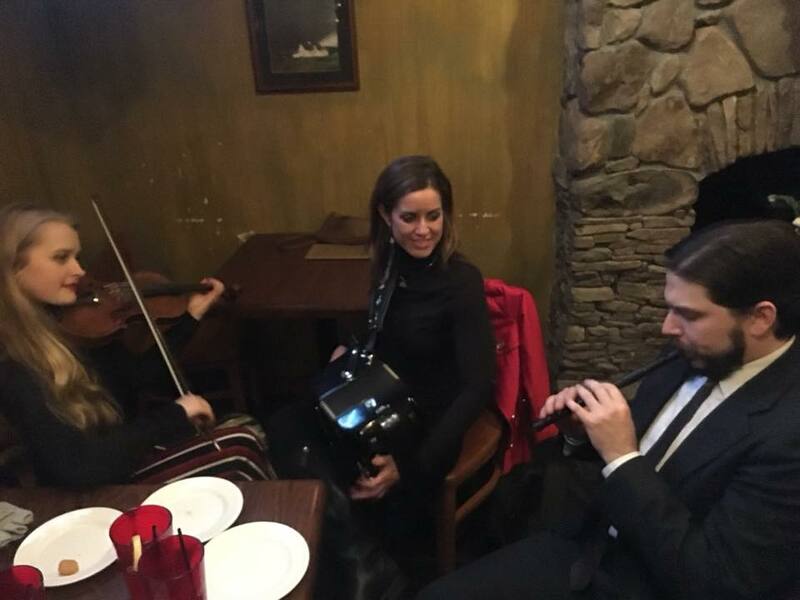 Right after the New Year, Haley and I took off for Boston where she had her first gig of the year with Joey Abarta and Keith Murphy. From Boston we drove to New York to fly to Thailand where we visited the Mercy Centre again. It was so nice to see the children now a year and a half later. 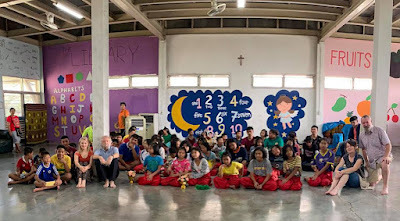 Haley enjoyed hanging out with them, watching their music and dance lessons, and giving some lessons to the children attending the kindergarten. We met the Little Birds, young people who have grown too old for the Mercy Centre but are HIV positive and need the support they can provide each other. 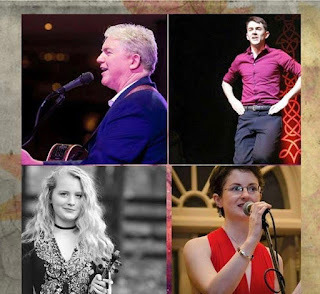 Haley, along with musicians Mick Moloney, Donie Carroll, and Brenda Castles also performed in a session nine nights of our two week stay in a session at Scruffy Murphy's Pub. Bangkok is an interesting city and we had many adventures. After our Thailand trip, we fly home for a week then flew back to New York and off to Ireland for another two weeks. 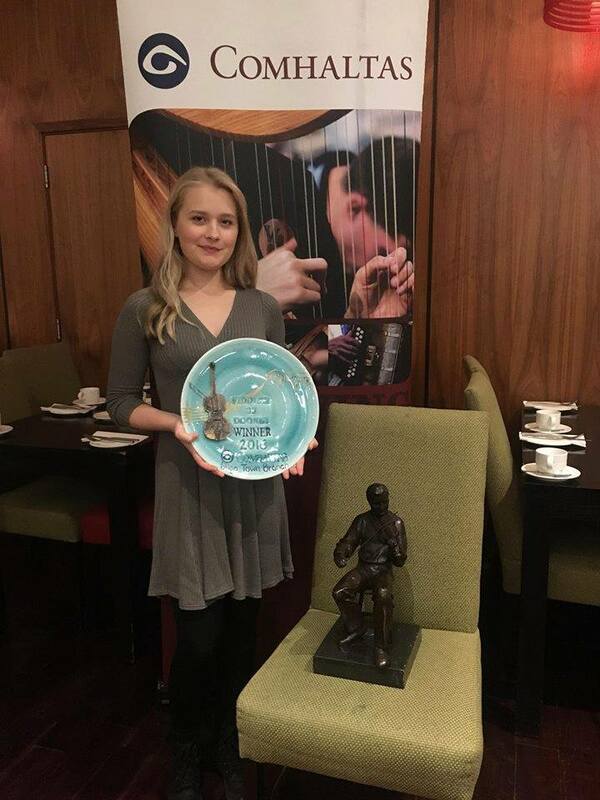 Haley was selected to compete in the Sean O'Riada Gold Medal competition. She did not win the competition but enjoyed the event immensely. 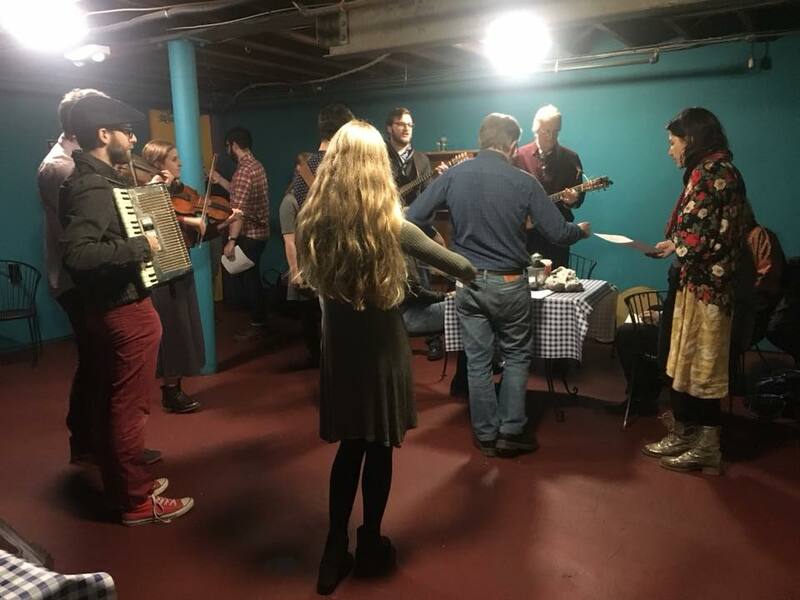 The event organizers really encouraged the fiddlers competing to get to know one another and made it a community building event. 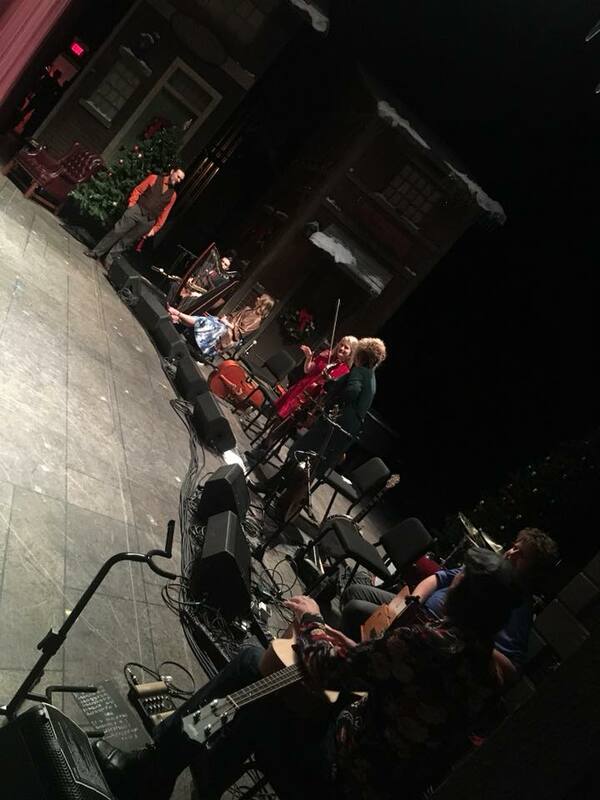 The other fiddlers were each amazing in their own way and it was a treat to hear them all perform. After the competition, we traveled around the country visiting different cities and Haley participated in Irish sessions with various musicians nearly every night...one night she and our host in Ennis, Bob, participated in four sessions (almost 8 hours of music)! 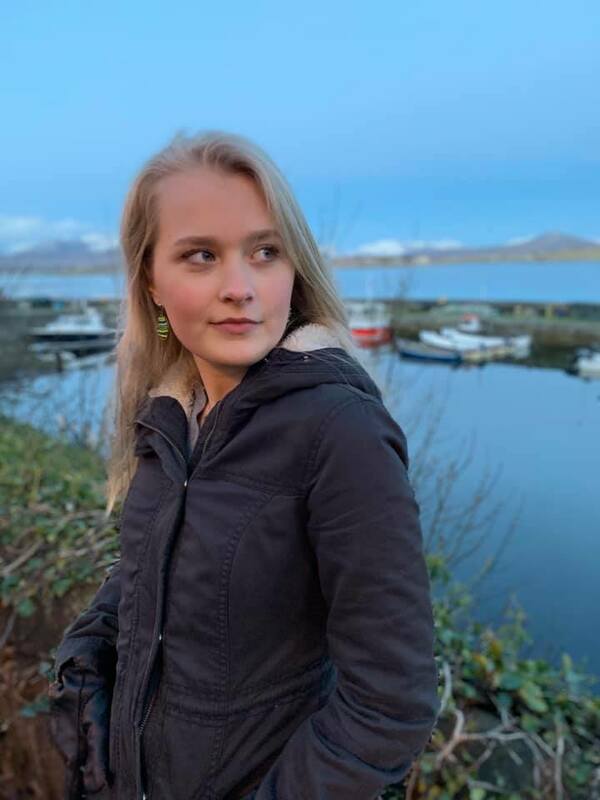 She has decided she needs to spend more time in Ireland absorbing the music and the culture and this has helped her make some decisions about her future...at least the next few years. We really enjoyed visiting Connemara for the first time and Haley was honored to be invited to record for a very exciting project that will be released in the United States this coming winter...sorry to be so mysterious but don't want to spoil the surprise. We definitely would love to return to Connemara and explore it when the weather is a bit warmer. We flew back to NY from Ireland and, due to an impending storm, headed straight for Montreal where we got snowed in for a day then picked up Haley's musician friend, Quinn, and drove north a bit to a recording study where the two of them are working on a new album. Some exciting stuff happening for my girl! After a busy summer of travel, including another year of Studio2Stage this time as a member of the staff, Haley spent two weeks at the end of September touring down the west coast from Seattle, WA to Tucson, AZ with accordion master, John Whelan. 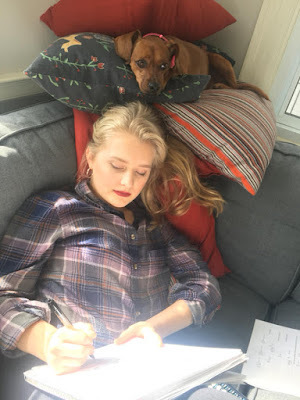 The key for Haley in getting schoolwork completed on time is working hard and getting ahead in her subjects prior to leaving home. This is easier to do in subjects where the professor keeps all weeks open rather than opening the course week by week. She was helped a bit by Hurricane Florence. The hurricane came through our area the weekend before we were due to fly out to Seattle and caused us to be evacuated and shut the college down for three weeks. 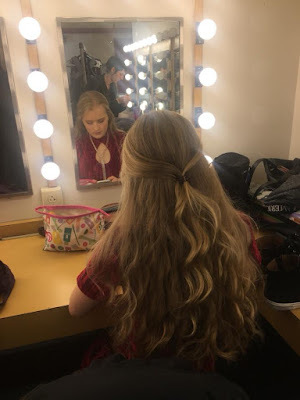 Haley had planned to get ahead on schoolwork before the tour but with everything pushed back three weeks, she was even more ahead than she originally planned. During the tour, days were spent on the road traveling from one town to another and nights were spent performing. Haley did school in the car using her phone as a hot spot and any time off was for school work. We spent a few days at home following the tour then traveled to Midlothian, TX for O'Flaherty's Irish Music Retreat. Haley was invited to attend. She performed in a couple concerts and played music for the dancers at the ceili. Again, school was fit in whenever she had a free moment though there weren't many free moments between classes, workshops, rehearsals, meals, and performances. We flew from Texas to Boston, MA then from there to Ireland. Between flights and on planes, she worked on her subjects. She downloaded chapters of textbooks prior to boarding planes so she could read and take notes then did any online quizzes or writing whenever she could fit it in. She had a bit more down time in Ireland because she didn't have any gigs. We never really adjusted to the time difference...just slept until late morning then stayed up until the wee hours at sessions most nights. We visited friends, ate some delicious vegan food, Haley played lots of music, and we did some touring of Belfast, including the Titanic Museum. Haley took 1st at the Fiddler of Dooney Competition competing in the senior age group, the first American to do so in 50 years! 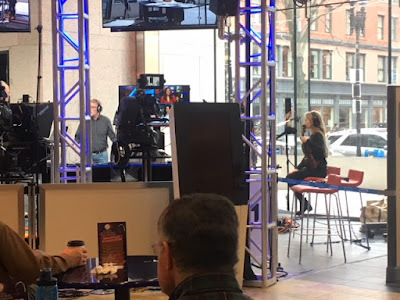 The local news did a nice story on her (link here) and had her come in to play a bit for the morning show. 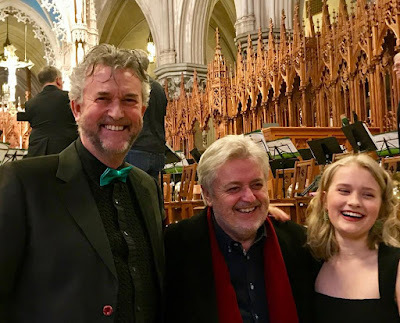 After Ireland, Haley spent two days recording with her Shared Madness trio for a CD project they have in the works then we had a quick trip to New York City where she was invited to perform at the Irish Arts Center by Bill Whelan. She had a long day of rehearsals/creating the program then two nights of shows. 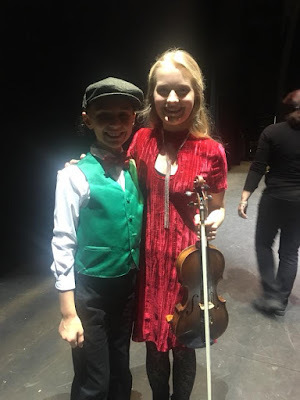 After the rehearsal day, we were supposed to drive to White Plains to spend the night with her fiddle mentor but an unexpected snow storm caused huge travel delays, accidents, and fallen trees all over the city. We got stuck in the city for the night but the Irish Arts Center staff were fabulous finding us a place to stay. 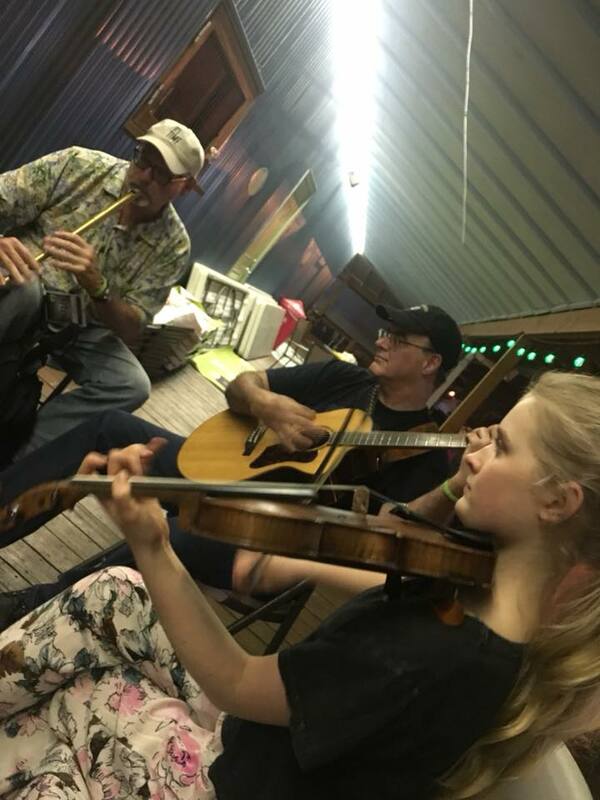 Haley had a blast working with the other talented musicians and even went out on their one morning off to play more tunes with Alan and his friend. I think she never gets enough of Irish music. After NYC, we've had time at home for the holidays. We spent Thanksgiving with the Richardson clan then took a quick trip to NJ to see the boys. Haley spent her weeks writing term papers, taking exams, and finished up the last of her fall semester courses today. After enjoying some quiet weeks at home...okay, not quite quiet...we sold our home in preparation to move 500 miles south and spent the weeks cleaning out, donating and selling unwanted items, packing, and moving wanted items into storage. 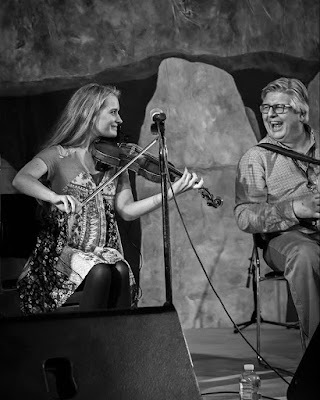 After enjoying a few weeks at home following the Christmas Sojourn, Haley and I began St. Patrick's Month (yes, for Irish musicians it is a month not a day) a little early with a trip to Charleston, SC for a couple nice gigs. 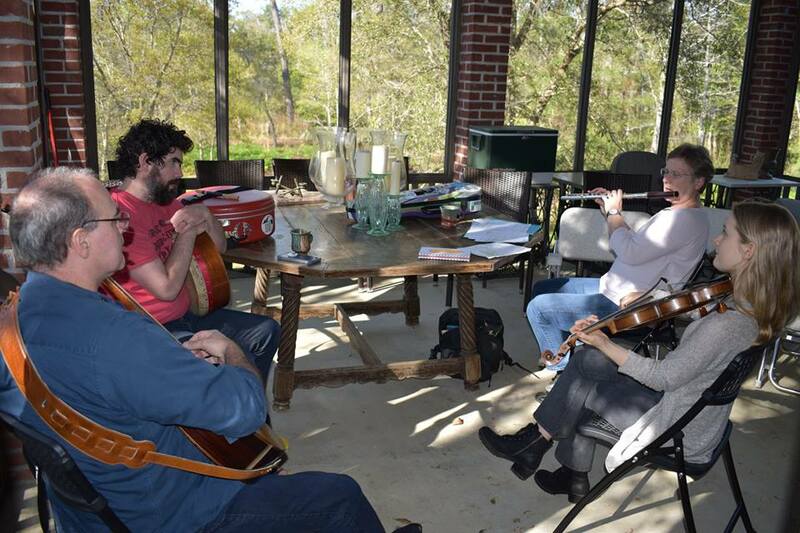 We met some new friends, musicians and non-musicians alike, and enjoyed the beautiful weather. 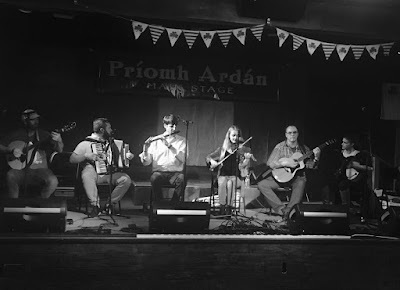 We took a train down and flew home, only to fly a couple days later to Dallas, TX for the North Texas Irish Festival. This was our first trip to the North Texas festival and Haley was scheduled to perform with her guitarist friend, Don Penzien, whose band, Gailfean, with Haley's fiddle teacher, Brian Conway, and accordion friend, John Whelan, was scheduled to perform as well. When we arrived Friday afternoon, we learned that a snow storm had stranded Brian in New York City, so they asked Haley to fill in for him with Gailfean. There was a bit of rehearsing and set building then performances for her to do and others she wanted to see with an Irish session thrown in here and there. Haley's friend, Sarah, and her family who we'd met in Laredo about three years ago came up and Sarah danced with Haley and Don for a set. It was a busy couple days. The festival was well run and well attended and the people were wonderful. 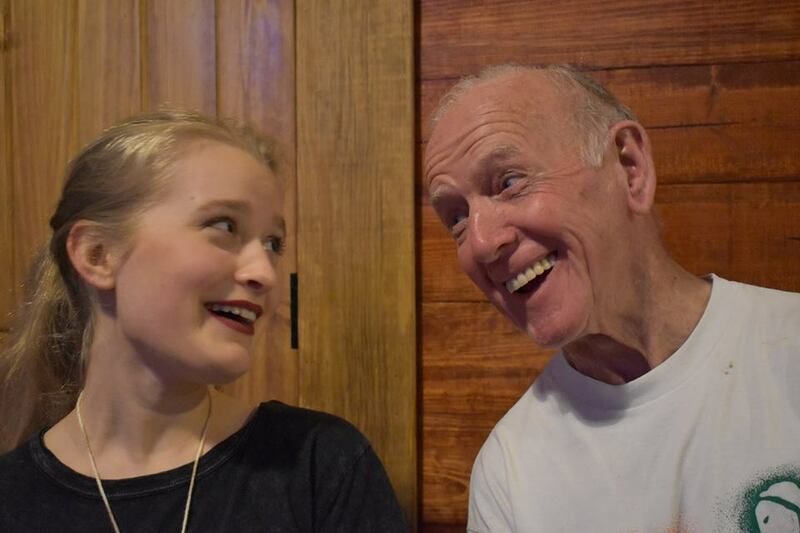 I just love this photo of Haley with John Whelan. They have so much fun playing together!! A week after arriving home from Texas, we were flying off again. This time to New Orleans. 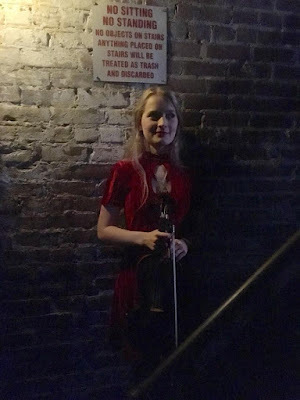 Haley's classical violin teacher is living in New Orleans this year for her husband's work. Haley was so excited to have a couple days to spend with Madi. 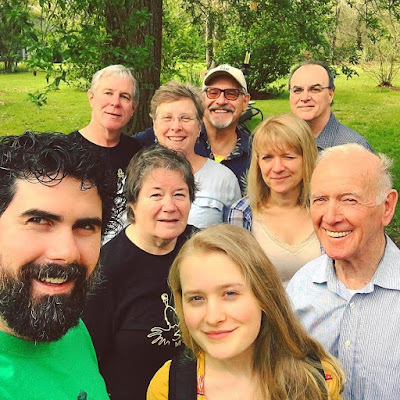 We did some sight seeing, rode the street cars, ate some delicious food and in the evenings Haley gave a solo house concert one night and taught a fiddle workshop the next. This woman actually had an autograph from a 7 year old Haley!! Our friend, Steve, and his wife, Sandy, along with a wonderful singer/dancer Noel showed up on Friday to drive us first to pick up Don and Megan (the other 2/3 of Haley's trio Shared Madness) then on to Lafayette, LA for the Celtic Bayou Festival..more fun, performances, a ceili, sessions, and some awesome cajun music. Haley and Noel sharing a laugh! From the festival in Lafayette, we dropped Megan at the airport so she could get back home to her sweet, little girl. 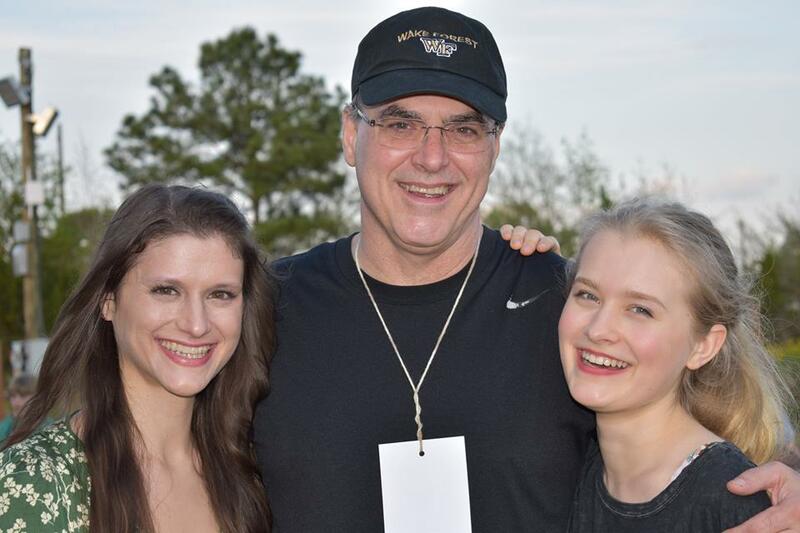 We then drove to Tuscaloosa, AL where Haley and Don played a house concert at our dear friend, Jil's home. The following morning Steve, Don, and Noel drove us to Atlanta, GA so Haley and I could fly back to NJ for a concert with Andy Lamy's Hudson-Shannon Line sponsored by the NJ Symphony. A huge winter storm was forecast for the evening of the concert and the entire next day. The snow held off for concert night but during rehearsal and the show, I was receiving messages about cancelled and rescheduled flights until finally all flights out of Newark airport were cancelled the following morning. I looked for a train and found they were cancelled as well. 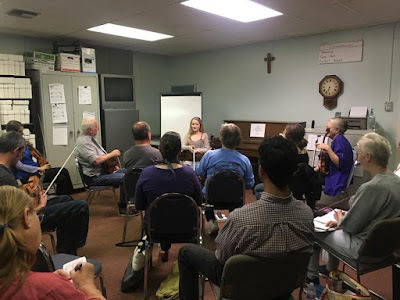 Haley needed to be in Greensboro, NC the next day (Weds) to rehearse for TEDx Greensboro on Thursday. A bit panicked I messaged Don and Steve who had dropped us off in Atlanta and driven to Don's home in NC near Greensboro. Steve, bless him, offered to drive up and take us back to NC but after some searching, I discovered I could drive north and west away from the storm track to the airport in Albany, NY to fly out. Don and Megan booked us new flights and reserved us a car from Newark airport and after the program, Mike (who had hosted us the previous night), drove us to Newark airport where we picked up the car and drove 3.5 hours through the night to Albany. We arrived around 2am, took showers in a hotel room, dropped the car off at the airport, and boarded our 5am flight. We did not sleep for 48 hours but we made it in time for the rehearsal. 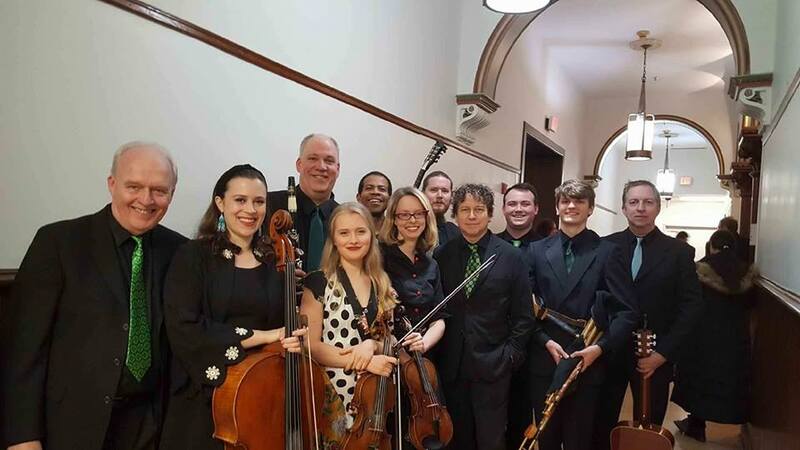 Immediately after their performance in Greensboro, hit the road again, back to Tuscaloosa for a night at Jil's then off the following morning for a lovely house concert in Pass Christian, MS with the Máirtín de Cógáin Project. The next morning back on the road again to Jackson, MS for CelticFest Mississippi. Haley had a really busy day playing sets every other hour, either as a duo with Don or with the Project. She then played for the ceili that night in the first hour and last hour (because there was no way she was going to pass on the chance to play with her friends who were playing last). We got in the car after the ceili where she and Sean McComisky took out their instruments and played all the way back to the hotel. They all took a little break while they decided where to set up a session then began playing music and kept playing music until 5:30am. Musicians called it a night here and there until by about 3am only Haley, Alan, and Sean remained. Haley and Sean played one set of jigs that lasted 1 hour 20 min. 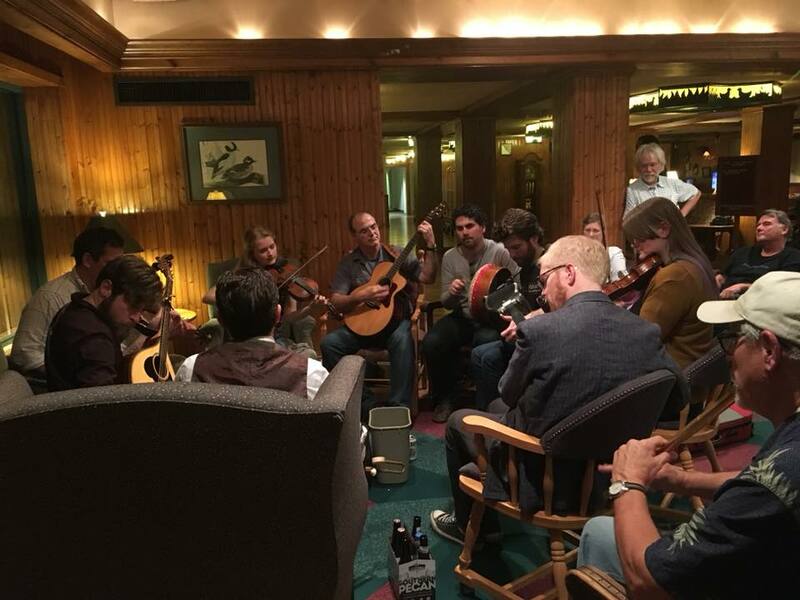 At some point during that time, Alan broke a string on his bouzouki, left for about 20 minutes, came back with a guitar, and joined them again. From Mississippi Celtic Fest, we drove back to New Orleans to spend the night with Noel before our flight home early Monday morning. It was a whirlwind tour but Haley had a blast and is looking forward to the next time! One unexpected "perk" of being Haley's mom is the amount of travel we get to do together. These trips lead to meeting wonderful people, making new friends, and amazing opportunities for music collaboration for Haley. For me, the opportunity to watch entire shows put together from the moment the musicians meet until the last run of the show is the best and always fascinating! 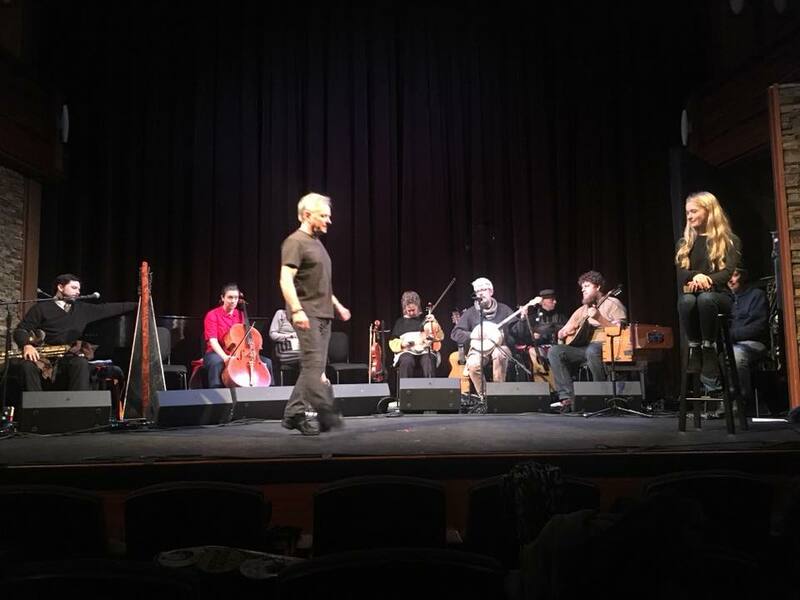 Though so much work and planning goes into a show before we even arrive, I will never cease to be amazed by what can be accomplished by talented musicians who enthusiastically work together. They go from not knowing each other to putting together an entire show in a few days. Last spring, Brian O'Donovan invited Haley to be part of A Christmas Celtic Sojourn 2017. These Christmas shows are larger with a much longer run than the St. Patrick's Celtic Sojourn Haley did two years ago...three days of rehearsal followed by fifteen shows in various venues around the Boston area all within a two week period! 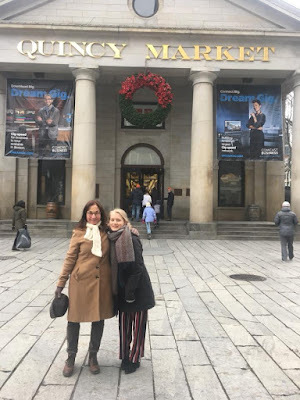 Haley and I arrived in Boston two days prior to the start of rehearsals. We decided to do a couple college/conservatory visits while we were here. So we came up on the train and stayed with our friends, the Coynes, for a couple days. Brian knew we were arriving a few days early so he also asked Haley to participate in a fundraiser for the Summerville Homeless Coalition at the Burren Backroom on Wednesday evening when we arrived. 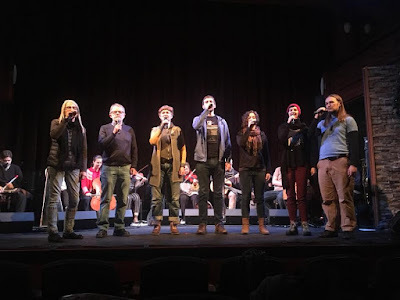 It was a fun night with singers, storytelling, and instrumentalists in a variety show format. We had scheduled one college visit for Thursday and one for Friday but at the last minute Brian asked Haley to do a short interview/performance slot on WGBH Boston on Friday so we rescheduled Friday's tour for Thursday and got them both tours done in a day. The schools were within walking distance to each other so it worked out perfectly. 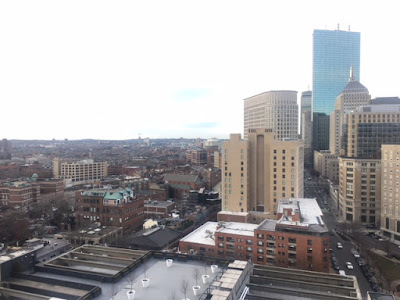 Friday morning we checked into our hotel early and were delighted with the beautiful room on the 17th floor with an amazing view of the city! We didn't have long to take in the view because we had to walk to the Boston Public Library (whoa, what a fabulous library I hope to someday have longer to visit) for Haley to do the live radio broadcast on WGBH. We spent the rest of the afternoon stocking up on groceries and shopping...it was Haley's day to do what she wanted because the next two weeks will be very busy for her! She finished up her Christmas shopping then we found a vegan restaurant and took food back to the room to veg out the rest of the night...literally. Morning came and along with it...a snow storm!!! Thank goodness we had only a 10 minute walk to the rehearsal venue. They began the day with introductions then started right in with learning and putting together the music for the show. They had provided some music ahead of time but most of the numbers were assembled and arranged the first couple days of rehearsal. They rehearsed each number on separately and in no particular order. 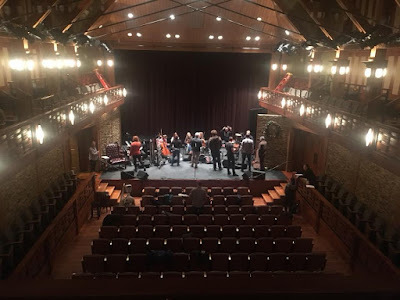 The show opened in Rockport, MA on Tuesday. 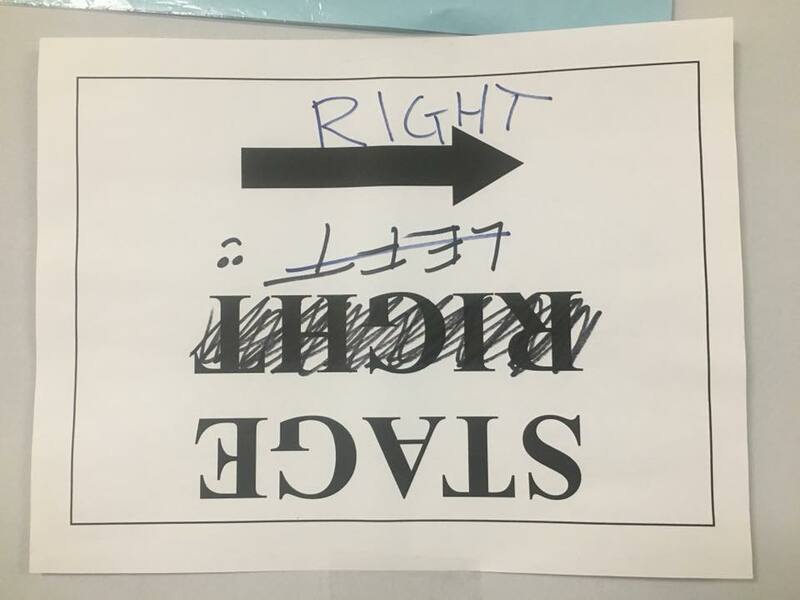 The entire cast was transported to the Shalin Liu Performance Centre early in the day where they rehearsed, sound checked, and blocked each number then performed two shows. I watched the shows from a balcony seat and loved seeing all their hard work come together. The music was incredible. The singing heavenly and the stories beautiful and heart-felt. Wednesday was another day of rehearsals but because everything had gone so well in Rockport, the call time was 4pm for rehearsal, giving us most of the day to ourselves. In the morning, Haley finished up the last couple assignments for the two college classes she had finishing that day. Haley's friend, Quinn, had seen a post on social media about her being in Boston where he goes to school, so we met up with him in the middle of the day and they had some tunes in a pub then Haley and I picked up some groceries. It was sooo cold and windy that day. Rather than walk back to the hotel, we called an Uber to take us back with our groceries. They performed shows at the Cutler, Thursday, Friday, and two shows each on Saturday and Sunday before going on the road for shows in Worcester, MA, New Bedford, MA, and Providence, RI. 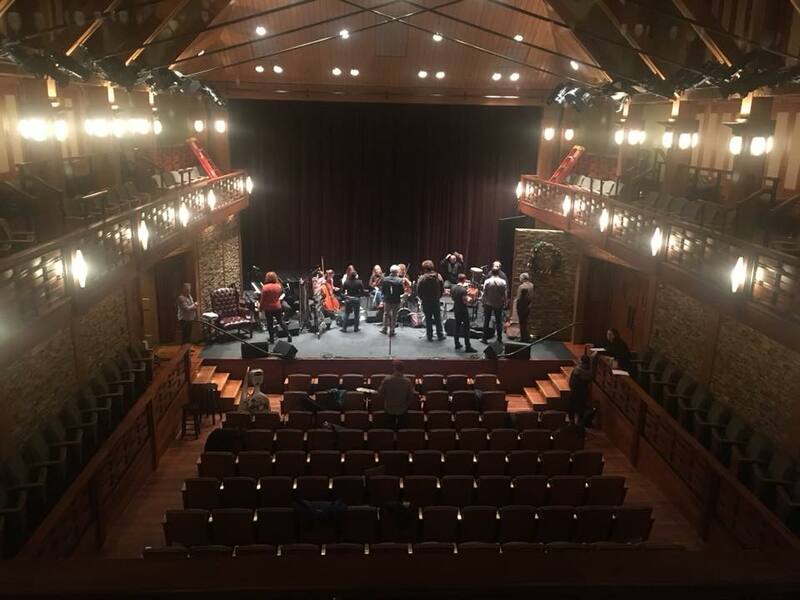 Each day on the road, we'd have a late morning bus call, arrive early at the theater with a bit of time to take a walk around the town, then sound check/rehearsal, dinner, and the show. Haley was treated as trash accordingly. 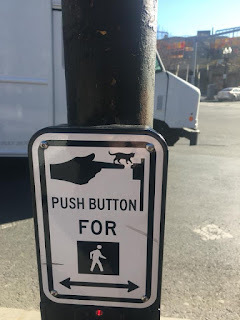 Someone was very confused when putting up this sign in New Bedford. We never did see a tiny kitten...or find out his purpose. 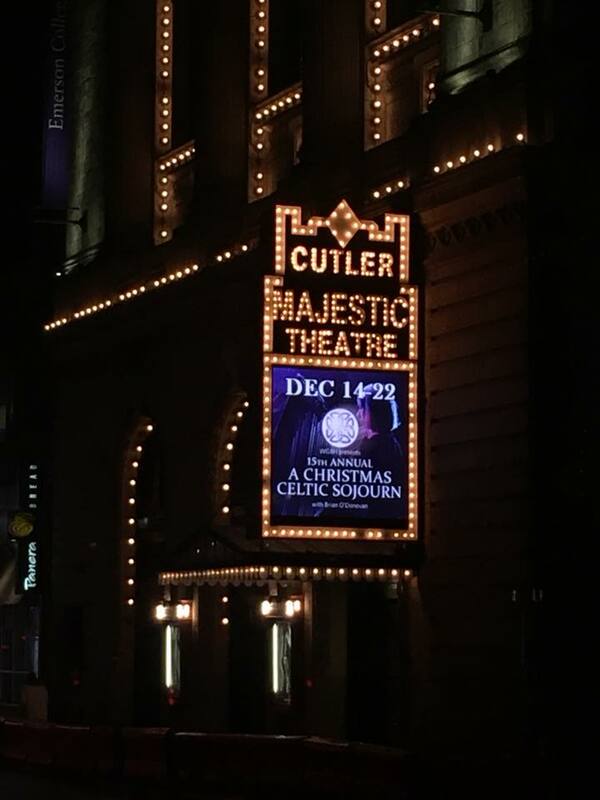 After the three days of travel, they were back for four shows in two days at the Cutler Majestic in Boston. I watched all the shows from backstage or on the television in the green room until the very last show. 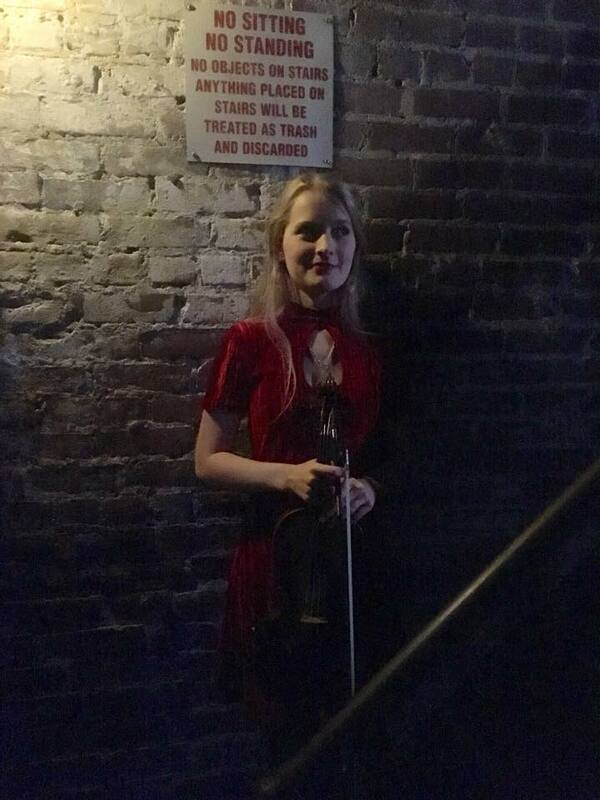 We had invited our friend Kira to come to Boston to see the final show. She arrived mid-morning on Friday the 22nd. We all took a walk to see the Christmas Village put up near the Boston City Hall and get lunch then we dropped Haley off at the theater for the matinee show while Kira and I did a little more shopping, walked through Boston Common to dinner at an Irish pub, then went to see the final performance. 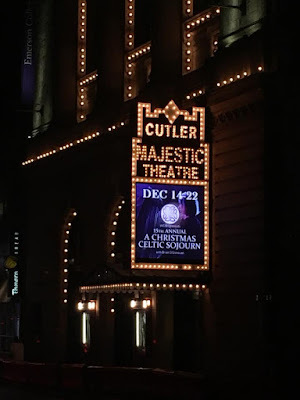 I had not seen the performance at the Cutler complete with lighting and the sound (what you hear backstage is nothing like what is sent out to the audience)! It was amazing and brought tears to my eyes! Every part of the show was just perfect and beautiful. Here's Haley's solo from one of the nights I watched from backstage. 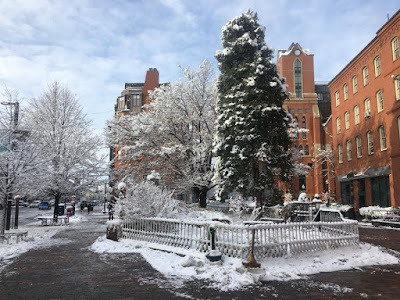 It snowed Friday during the day and then rained with ice through Saturday. Kira drove Haley and I home through the icy mess. We were sad to be leaving after such a fun couple weeks with incredible people but happy to be heading back home to the boys and the pups. 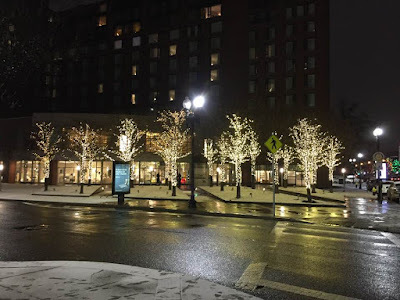 I posted a photo of the icy roads in Connecticut as we drove through and our dear friend, John Whelan, messaged asking if we were close to his home (he recently moved to Seattle but was "home" for Christmas with his boys). We stopped by his house for a quick break, a cuppa tea, and some tunes then finished our journey home for Christmas. 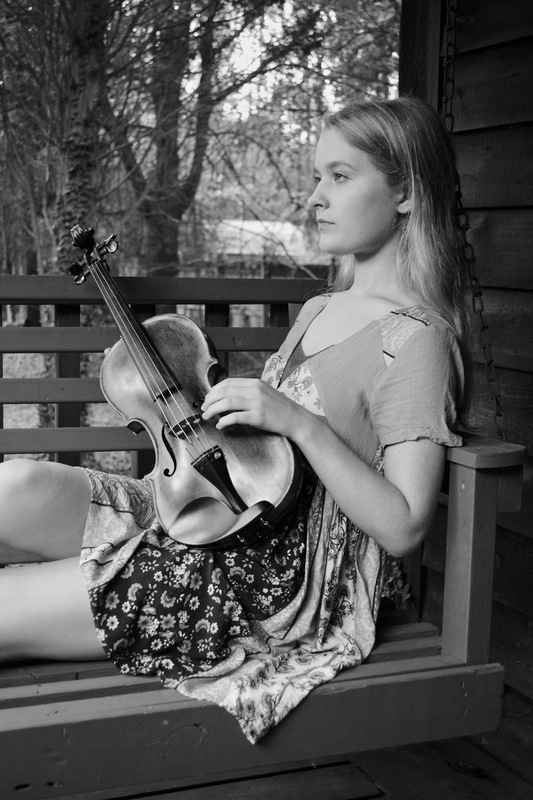 Last spring, Haley played a couple "pick up" gigs with two different groups of musicians. Both were kind of unplanned and just worked out the way they did based on proximity and necessity but the two groups kinda worked and this fall Haley had a chance to get together with each again for gigs. Mothers' Pride first performed together last St. Patrick's Day at a lovely, well-attended gig at the Philadelphia Art Museum. They received two standing ovations and decided they might like to play together again. The group consists of Gabriel Donahue, who plays about every instrument known to man and does it well...he even uses loop pedals and puts on his own rather impressive one-man show. 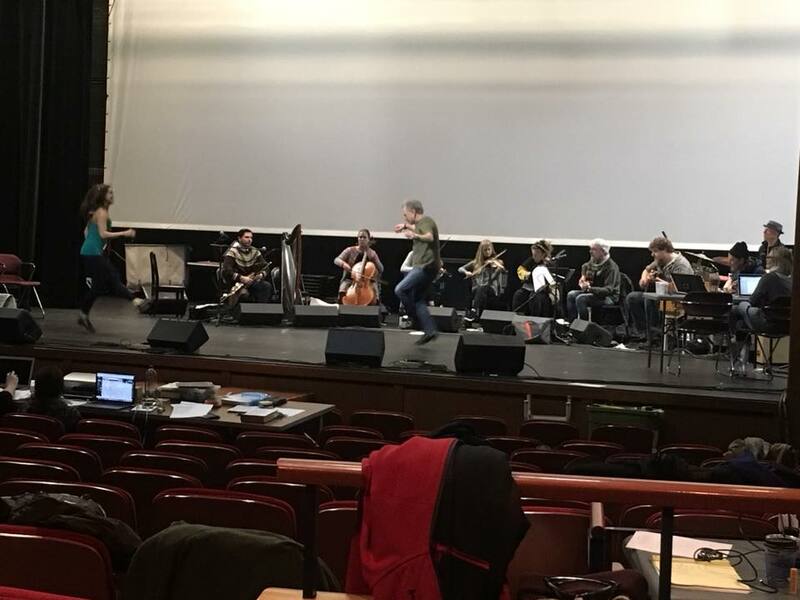 Gabriel's wife, Marian Makins, is the voice of the group and also adds some bodhran percussion. Jonathan Srour is a fabulous flute player and an even better dancer. His time is a bit limited as he is currently doing his medical residency. There is a lot of talent in the group and they work well together with very little rehearsal...which is always a plus when time is limited. 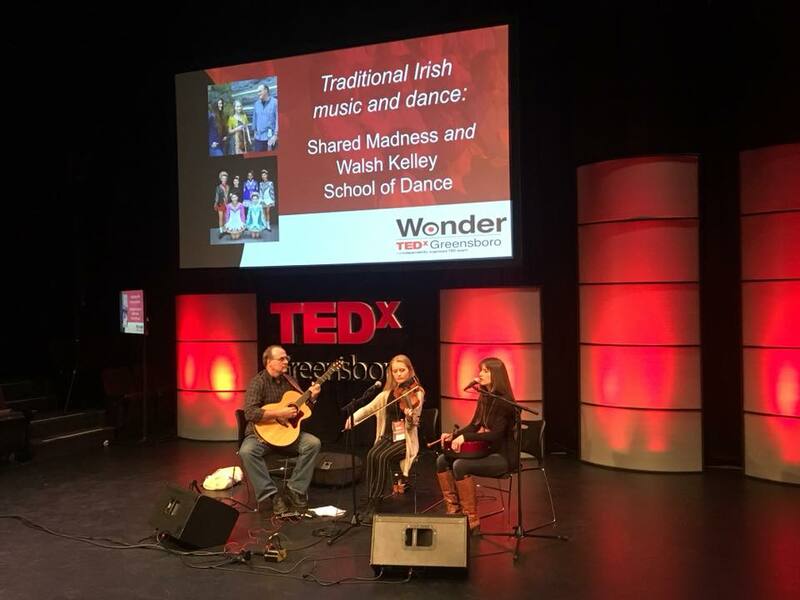 They have performed a couple festivals in unlikely sounding places...The Seagirt Festival where they performed in a shooting range and the Maryland Irish Festival where they were in the Birthing Center of the Cow Palace. Oh, the stories Haley will have to tell. Shared Madness is Haley's other new collaboration and they came together last April at the Ormond Beach Festival. 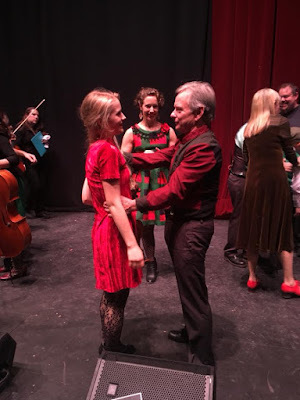 Haley was invited to perform and knew Don Penzien would be there with Megan Irby as their band Beirt le Chéile so she asked him to back her on guitar. Don and Megan then invited Haley to do their sets with them and Shared Madness was born. (The name came about because of a man in a very large, ornate chicken suit at the festival.) Don is a very talented guitarist and Megan has the voice of an angel. 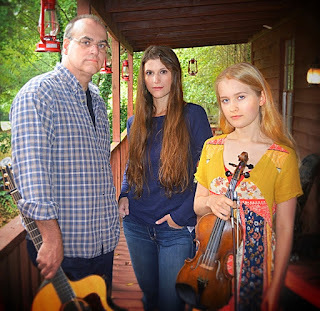 When Haley's cousin Thomas scheduled his wedding in October, we asked Don and Megan, who live in North Carolina, if they would like to do a few gigs with Haley on our way. They rehearsed for an afternoon to put together their program then did a few gigs together. They have a lot of fun together!! 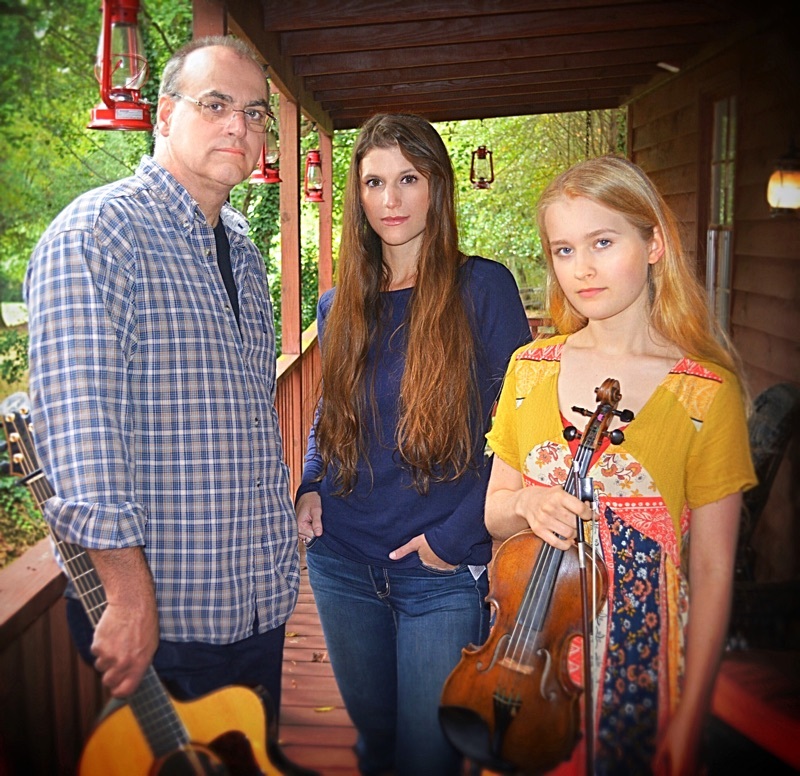 They are scheduled for a number of festivals and other filler gigs through this coming spring throughout the southeastern United States. If you live in the south, they may soon be performing somewhere near you! Check them out at sharedmadnessmusic.com. She's an incredible young lady and she amazes me everyday with her intelligence, determination, perseverance, hard work, and strong sense of who she is. Haley started school a couple weeks ago. This year she is taking two classes online through the community college as a dual enrolled student. Online courses because we have some travel planned and cannot guarantee she would be able to attend classes in person at the college. Haley decided she'd like to try some different courses this year and see if anything appeals to her (as much as music). This semester she chose Psychology and Art Appreciation and is enjoying both, though they are a lot of work. The first week was on the light side then, she received lists of work for week two. Like any perfectionist (ask me how I know), she felt like she needed to get everything done on Monday and was a bit overwhelmed. 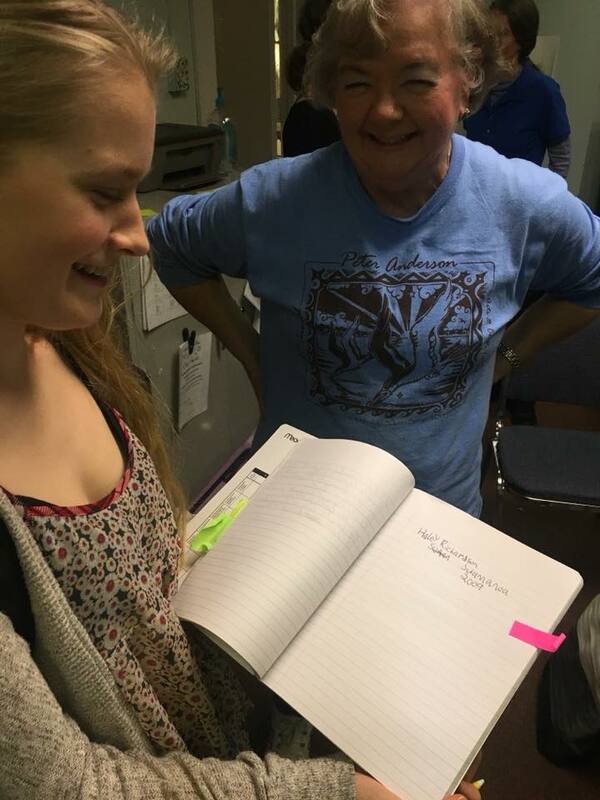 I sat with her and showed her how to go through the list and parse out the work in her planner so she was doing a bit every day, keeping track of deadlines, and not being overwhelmed every Monday when the lists arrive. She's a quick learner and the next week set up her schedule on her own. She quickly got into a routine. I am so proud of this girl. 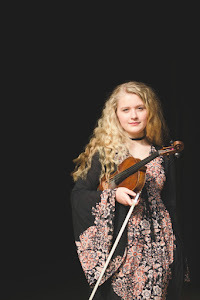 She is handling her college classes plus her regular schoolwork, practicing violin and fiddle, continuing to work on her novel, and doing most of the meal preparation in the home. Haley decided a couple months ago to try out the vegan lifestyle and is very dedicated to making it work plus loves to try new recipes so we are eating very well. Haley...click on link to view her brand new website.